Rowdy is muscular, dark red with a beautiful coat and broad head. 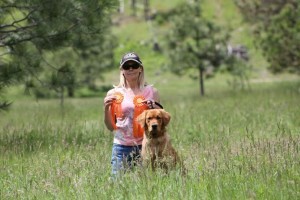 He has sired numerous litters with Ellie that are proving to have his talent and looks. 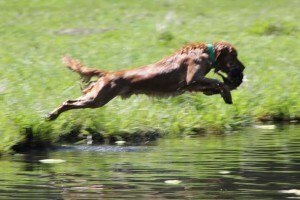 Rowdy has tremendous drive and loves to retrieve on land or water. 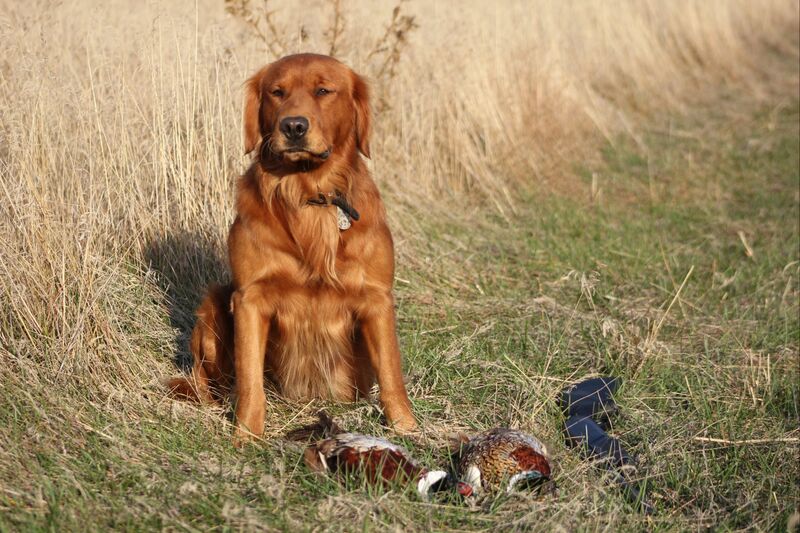 Rowdy is equally at home hunting waterfowl or upland birds. He has a good “on-off switch” and is a gentleman in the house. 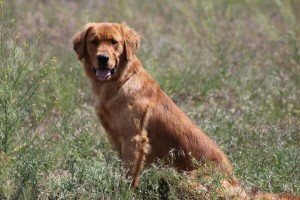 Rowdy is owned by good friend Kimberly Schnider @ Ponderay Goldens. Please visit her website at www.ponderaygoldens.com or feel free to call Kim @ 208-659-2538 for additional information and stud fee details.